Doha, Qatar (June 9, 2015) — Qatar Entertainment Company (Tasali) has announced that the award winning KidZania edutainment concept is headed to Qatar. A joint venture partnership between Aspire Zone Foundation and Sharaka Holdings, the company is moving ahead with bringing the premium brand to Doha. 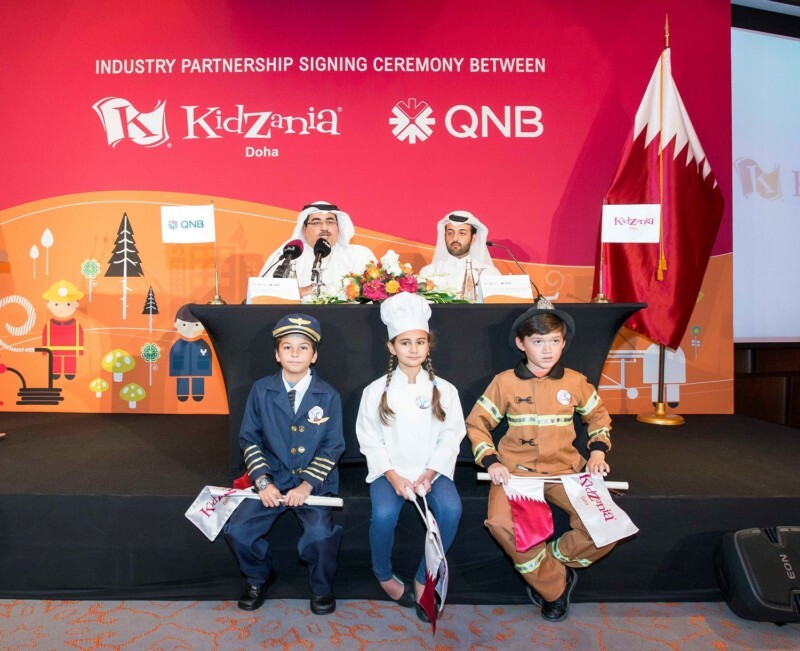 As part of the landmark announcement, KidZania unveiled its first sponsorship milestone at a signing ceremony with QNB, One of the World’s Strongest Banks. KidZania offers children the opportunity to play ‘adult jobs’ in up to a 100 pretend roles ranging from being a journalist, dentist, beautician, news reporter and actress to a fireman. The indoor theme park is set in a city that is built to scale for children, complete with buildings, paved streets, vehicles and a functioning economy. The newly announced sponsorship with QNB is part of the role-play activities and will create a KidZania miniature world that provides children with the ability to learn basic banking services through its miniature branch and ATMs. They will be able to spend, save and invest their kidZos, KidZania’s currency. Through the exciting role-playing concept and QNB’s branch, children will discover the challenges of being a banker as well as empower tomorrow’s generation to be financially aware and responsible. QNB’s sponsorship with KidZania stems from its longstanding commitment to supporting child development and education as part of the QNB Group’s diverse CSR program. QNB recently introduced “The Money Made Easy” Book, to educate children on how to better understand banking and manage their finances. The book is an easy guide to money and the economy for children aged nine and above and has been distributed widely across schools in Qatar. KidZania Doha will be located at the popular Aspire Zone in Doha, Qatar. 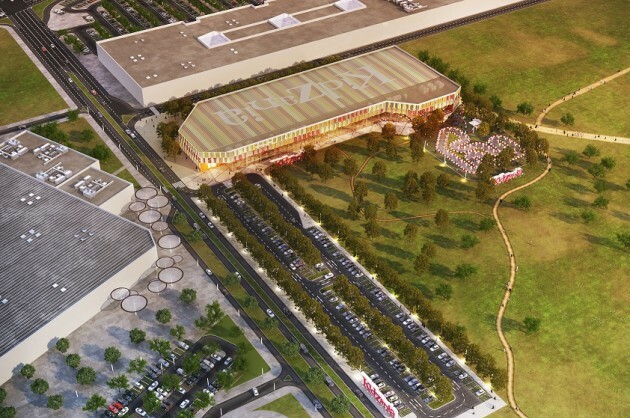 A prime location adjoining both the Villagio and Hyatt Plaza, KidZania Doha will complement the existing offering of shopping, leisure, sports and natural environs of the adjoining Aspire Park to make the entire zone into a destination of choice in Doha. KidZania involves real-world brands in developing real-world experiences for children. Industry partners and sponsors lend authenticity and credibility to all the parks activities. Engaging, experiential and exciting marketing partnerships enrich each activity by creating a more authentic experience. Leading global brands to successfully establish their presence in the KidZania nations around the world include; Coca Cola, HSBC, Sony, Honda, Gillette, Nestle, P&G, Mitsubishi Motor.